Known for the best place to spot majestic super predators in the wild nature, India has more than 99 national parks, 40 tiger reserves and 450 wildlife sanctuaries with enthralling species of fauna and flora. Be it the mountains of Uttarakhand or the deserts of Rajasthan, or the South, India has a way to go with these rich national parks and wildlife sanctuaries that are indeed appropriate for wildlife tourism in India. But, most of the national parks are closed during monsoons and the safaris are done in the morning or evening when there is maximum activity in the forest. Located in the Vindhya Range of Umaria district in Madhya Pradesh, Bandhavgarh National Park covers an area of 437 sq km. While taking the safari through the rocky terrains interspersed with grassy swamps and forested valleys, Bandhavgarh National Park has much more to offer to its visitors. There are four main zones of the national park—Tala, Magdhi, Khitauli, and Panpatta. With steep ridges, open meadows and dense forests, this national park offer a beautiful experience. 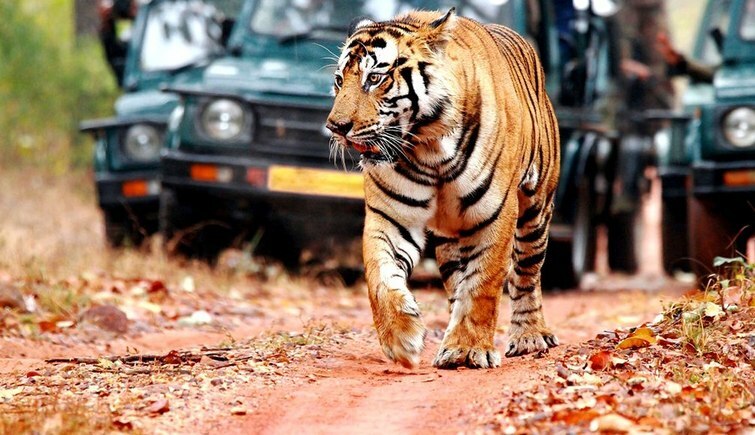 How to reach Bandhavgarh National Park: Once you are in Umaria district of Madhya Pradesh, there are taxis and cabs are available easily to reach the jungles. 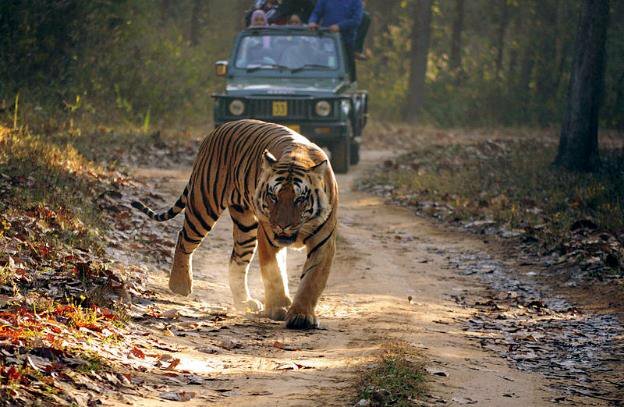 Best time to visit: Bandhavgarh National Park remains open for visitors between the months of October and June. The gorgeous Corbett National Park is one of the favorite destinations for wildlife enthusiasts. Be it hills, rivers, forests, marshlands and grasslands, the national park has it all in its lap to offer fantastic sightseeing experience to the visitors. Spread across 520.8 sq km, the national park is located in Nainital district of Uttarakhand and is the oldest national park, named after Jim Corbett who played a vital role in its establishment. The park is home to the royal Bengal tiger, barking deer, leopard, hog deer, jungle cat, cheetal, sloth bear, otter, pangolin, Himalayan goral, Indian langur and many other wild animals. How to reach Corbett National Park: To reach at start location of safari you can take taxis or cabs from outside the railway station of Ramnagar which is 12 Km from the park. 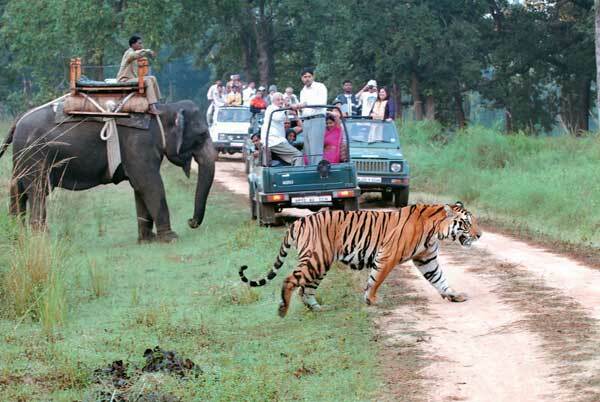 Best time to visit: Most of the people like to visit Jim Corbett in the month of November to June. Famed for its tall sal trees and dense bamboo forests, ravines, meadows, and grasslands Kanha National Park, is one of the most beautiful parks in India. The forest is inhabited by the royal Bengal tiger, barasingha, leopard, sloth bear, barking deer, cheetal, wild dog, gaur, and various other species. Kanha National Park covers an area of 940 sq km and is located in the Satpuras in Mandla and Balaghat districts of Madhya Pradesh. How to reach: The nearest railway Station from Kanha National Park are Gondia and Jabalpur. Gondia Railway Station is situated at a distance of 145 km and it takes 3 hrs to drive from Kanha. Jabalpur Railway Station is 160 Km away from Kanha and it takes 4 hrs through drive. 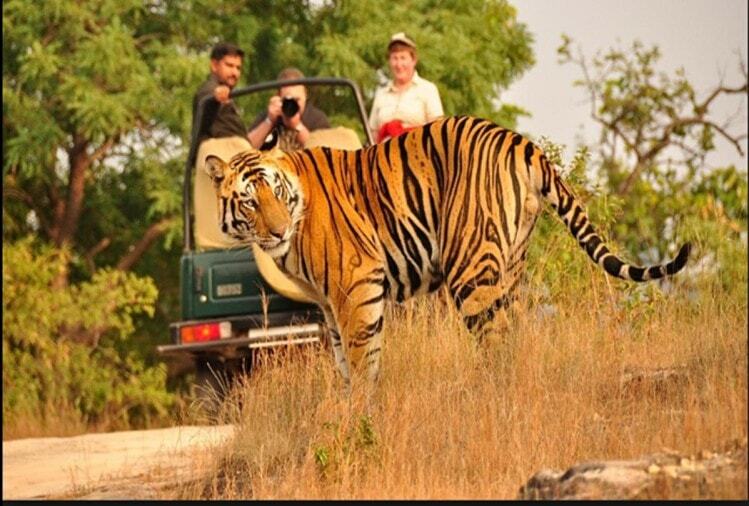 Best time to visit: Best time to visit Kanha National Park is from October to June. flourished so beautifully. Along with the giant Rhinos, Elephants, Bears, Panthers and various pretty birds are also visible in the Kaziranga National Park. 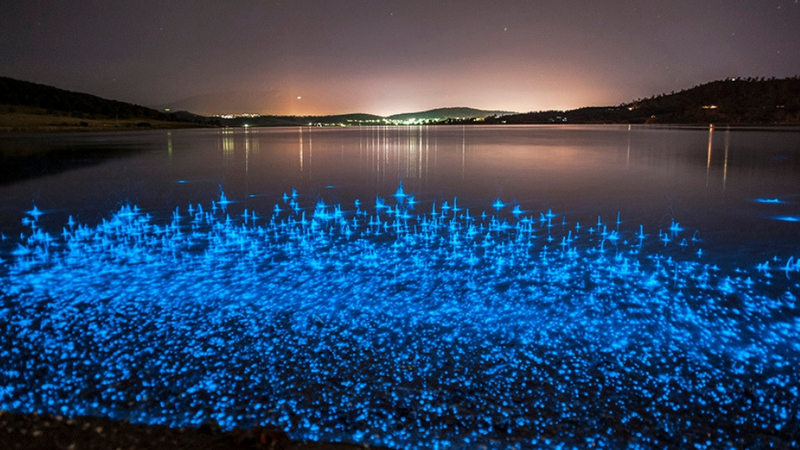 It has also been declared as one of the famous World Heritage Sites of UNESCO. How to reach: Kaziranga National Park is located in the Golaghat and Nagaon districts of Assam, from NH 37. the nearest bus stop to reach Kaziranga is Kohara. Buses which operate from Tezpur, Guwahati, Dimapur and Upper Assam pass through Kohara. 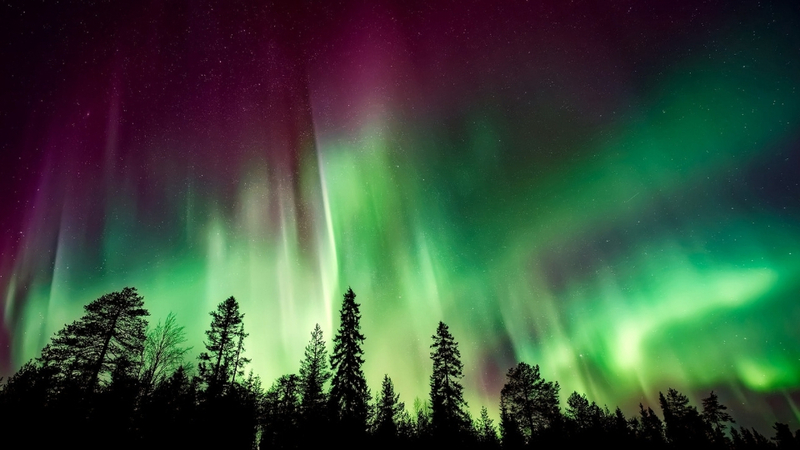 Best Time to Visit: November to end of April is the ideal time to explore this park. Encompassing world’s largest forest cover of the Mangroves, Sunderban National Park is one of the most beautiful attractions in West Bengal. Also, the park has the largest population of tigers and thus forming India’s largest tiger reserve. 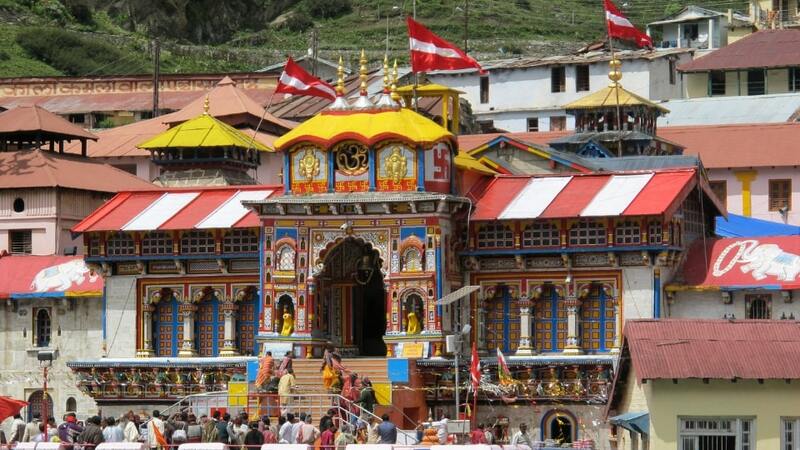 Further, it is also UNESCO’s World Heritage Site and encompasses an array of flora and fauna. 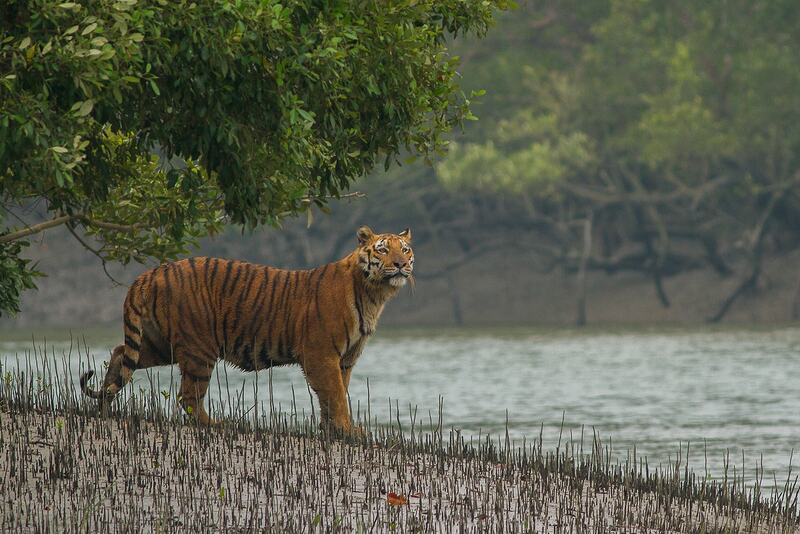 How to reach: The nearest railhead to Sundarban Tiger Reserve is Canning. Railway distance from Canning to Kolkata is 45km and 29km away from Godkhali Port. It takes around 1hr 20mins to reach Canning station from Sealdah station in Kolkata. Public transport is available between Godkhali port and Canning. Best Time to Visit: For getting the perfect glimpse of the amphibians and tigers, the best time is October to April. The Gir National Park is among the most sparkling jewels of Gujarat’s treasure trunk and the only home to the populace of Asiatic Lions. Along with the Lions, the park inhabits around 32 species of mammals, 300 of birds and 26 of reptiles. Hence, Gir is bestowed with rich biodiversity, making it a great tourist attraction in India. 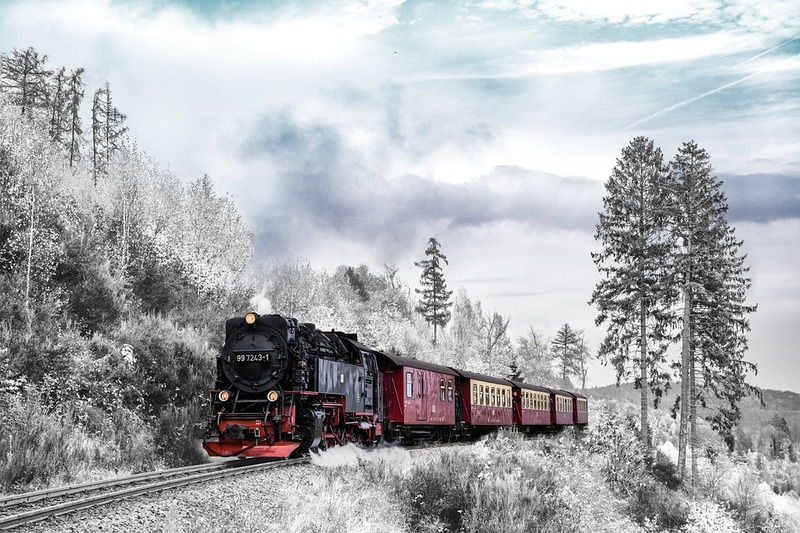 How to reach: The nearest railway station in Junagadh which have good rail connectivity from different cities like Ahmedabad and Rajkot and other major cities. Then, from here it takes approximately one and half hour to reach Gir National Park. Best Time to Visit: October to May end is regarded as the best season to visit the respective park. Ranging from Spotted Dear, Leopards, Sloth Bear, Black Buck, Sambar, Four Horned Antelopes, Porcupine, Smooth Otter (Pangolin) to every member of the wild Satpura National Park is a must visit national park in India. 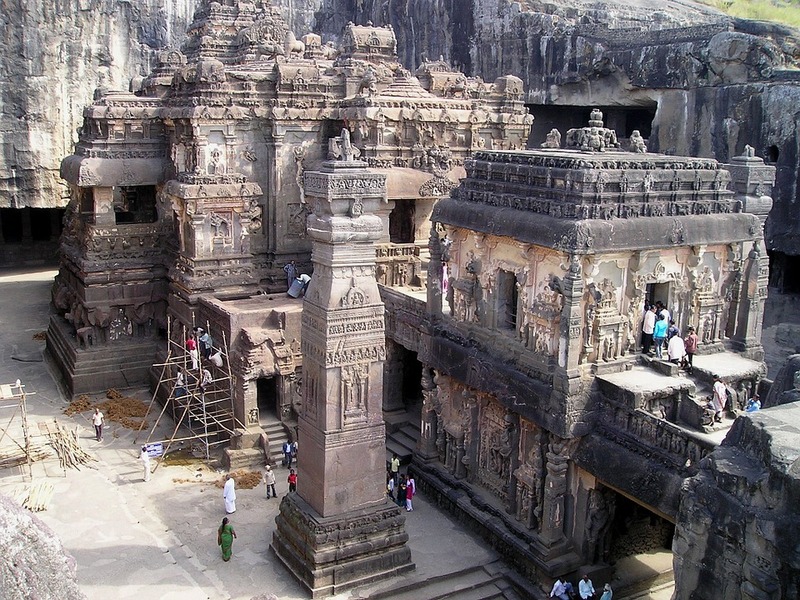 The rugged terrain complemented with peaks of sandstone, slender gorges, ravines, and dense jungle makes it really a fantastic destination to visit. How to reach: To reach Satpura tiger reserve Nearest railway station is Sohagpur which about 20kms from national park. But the Pipariya railway station which is about 45kms from national park has better rail connectivity compared to Sohagpur. Situated in Sawai Madhopur district of Rajasthan, Ranthambore lies on the edge of a plateau, on the north is the Banas River and to the south is the Chambal River. Covering an area of 392 sq km of dry deciduous forests and open grassy meadows, the park encompasses the historic Ranthambore fortress, after which the park has been named. This offers a bird’s-eye view of the river and the forest to the visitors. Also, visitors can take a walk in the buffer area, if they like birding. How to reach Ranthambore National Park: The nearest railhead to Ranthambore is Sawai Madhopur Railway Station, which is around 10 km away from the park or one can hire taxis or cabs to reach the destination. Best time to visit: The park remains open from October to June, but November and May are considered the best months to visit the park. Declared as a national park in 1987, Pin Valley in Spiti is spread across an area of 9700 sq km. 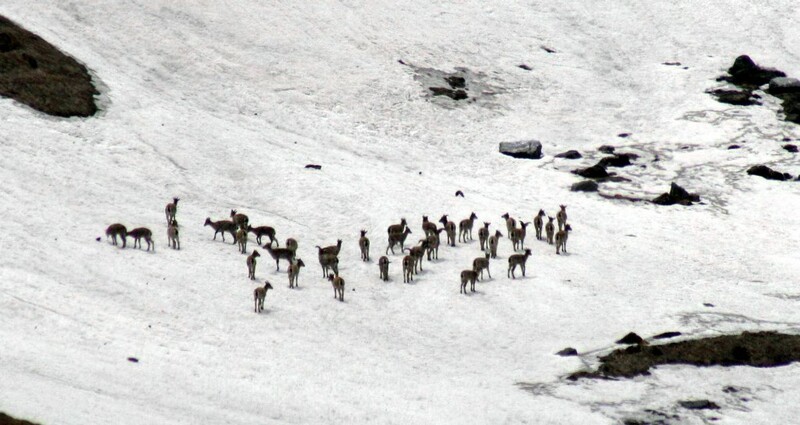 The park is a natural habitat for rare bird species such as Himalayan snowcock, chukar partridge and snow partridge as well as a number of endangered animals including the woolly hare, Tibetan gazelle, snow leopard, and Siberian ibex. Some rare endangered medicinal plants have also been found in and around the Pin Valley National Park. How to reach Pin Valley National Park: Pin Valley has the only motorable road so one can either hire a cab or drive on their own to reach here. Best time to visit: The park is accessible between the months of July and October. 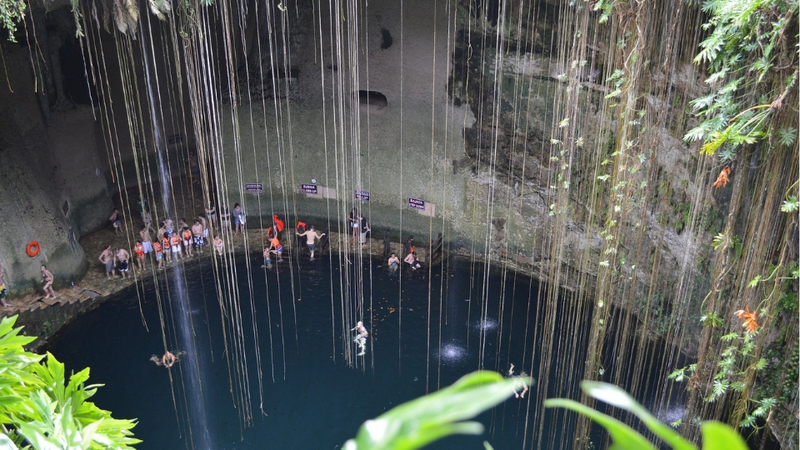 It’s best to visit this place in the month of August because the temperature is pleasant this month. Encompassing an array of unique flora and fauna, the Desert National Park is a must attraction for the visitors. Covering over an area of about 3162 sq km, it is one of the largest national parks in the country. 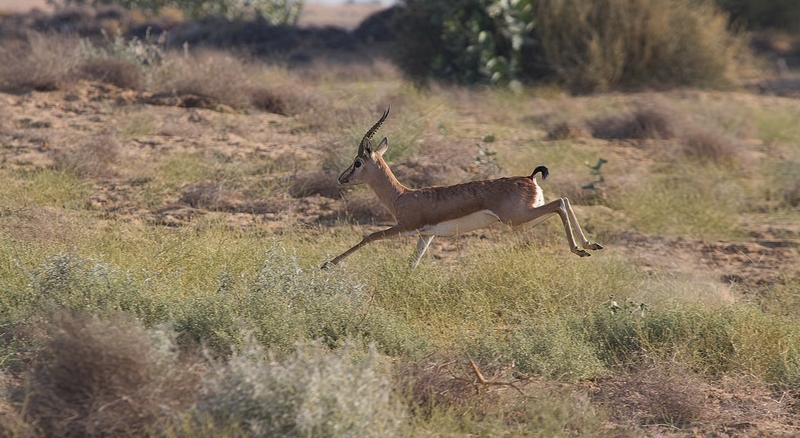 The main attraction in Desert National Park is the Indian bustard, which is an endangered species. 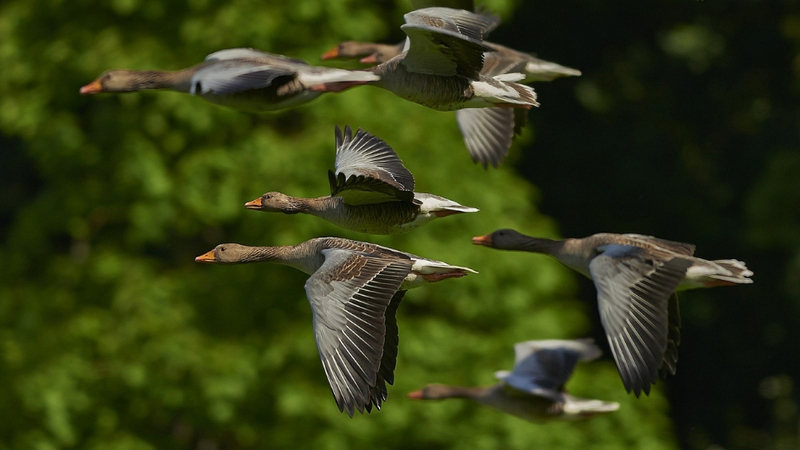 Despite a fragile ecosystem, the region is home to a number of migratory and resident birds such as harriers, falcons, buzzards, vultures, and eagles. How to reach: From Delhi to Jaisalmer train is suitable and after that, you can use road transport. Best time to visit: To experience the best of Desert National Park, visit here between the months of October to February. Located in Mayurbhanj district of Odisha, Simlipal National Park is spread across an area of 2750 sq km. Simlipal National Park is said to be inhabited by wild elephant, barking deer, gaur, tiger, leopard, jungle cat, wild boar, chausinga and many others with more than 200 bird species, such as grey hornbill, Indian pied hornbill, Malabar pied hornbill, Indian trogon, hill mynah, parakeet and serpent eagle. How to reach Simlipal National Park: Balasore Railway Station is the closest to Simlipal National Park, which is around 75 km away. Also, Netaji Subhas Chandra Bose International Airport at Kolkata (250 km) and Biju Patnaik International Airport at Bhubaneshwar (300 km) are the closest airports to the park. Best time to visit: The months between October and June are considered the best time to visit Simlipal National Park. 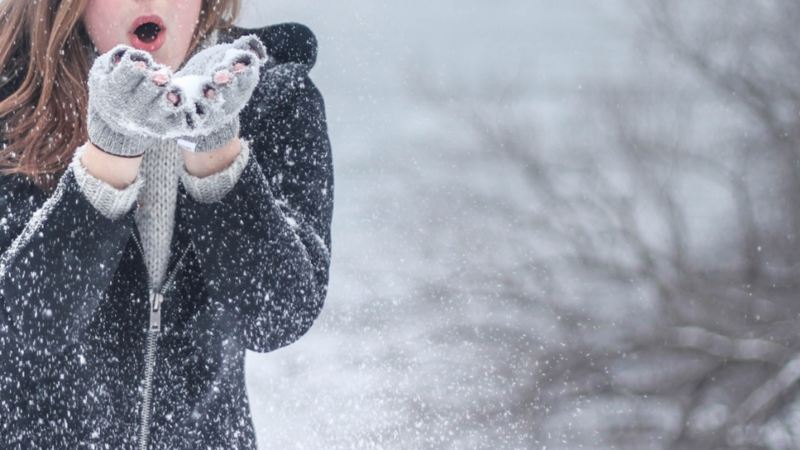 Great Himalayan National Park offers fantastic experience in itself, where visitors can enjoy trekking and camping in the lap of nature, and thereby admiring spectacular views of the snow-covered Himalayas. Located in Kullu district of Himachal Pradesh, Great Himalayan National Park is spread across an area of 1171 sq km area. Designated as the UNESCO World Heritage Sites in June 2014, it is home to high altitude flora and fauna, including many endangered species such as blue sheep, marmot, snow leopard, Himalayan brown bear, and musk deer. How to reach Great Himalayan National Park: From Manali, one can drive or hire cabs or taxis till Great Himalayan National Park. 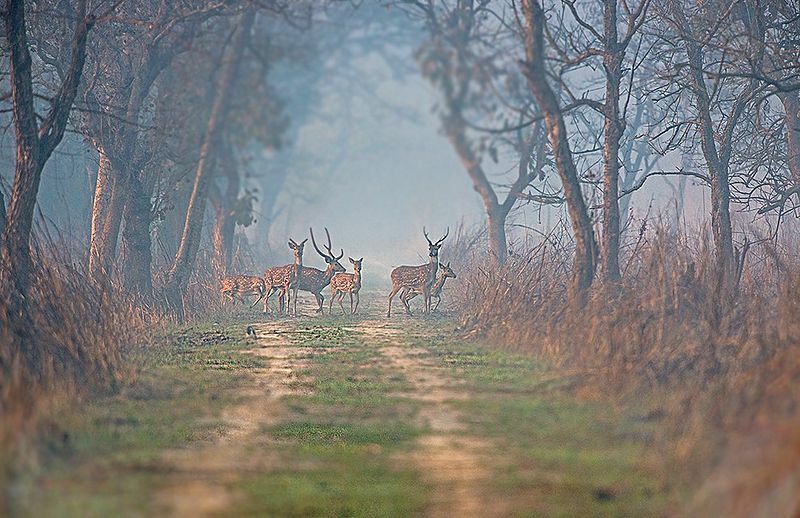 Spread across 680 square kilometers of area, Dudhwa National Park is located along the Indo-Nepal border in Lakhimpur district of Uttar Pradesh. Famed for its tall sal trees, this national park is home to more than 450 species of residential and migratory birds. Apart from this, its marshlands provide habitat to crocodiles, swamp deer and birds like sarus crane, Bengal florican, swamp partridge, tigers, rhinos and many other animal species. It is worth mentioning that the park remains open from November to June and it my experience that February is the best month to visit the park as the temperature is not very low and sightings are good. How to reach Dudhwa National Park: Buses and taxis are easily available from outside the railway station that will take visitors to this destination. Best time to visit: The months between November and May are considered the best to enjoy the beauty of Dudhwa National Park. Encompassing an area of about 625 square kilometers, Tadoba Andhari Tiger Reserve is the oldest and largest national park in Maharashtra. It offers a gypsy safari in the core area of the forest where visitors can enjoy cheetal basking and playing, sambar eating, peacocks dancing, wild boars crossing the road, kingfisher pouncing on its prey, etc. Also, Tadoba is one of the favorites for tiger sighting among wildlife enthusiasts and has the highest population of tigers in India. 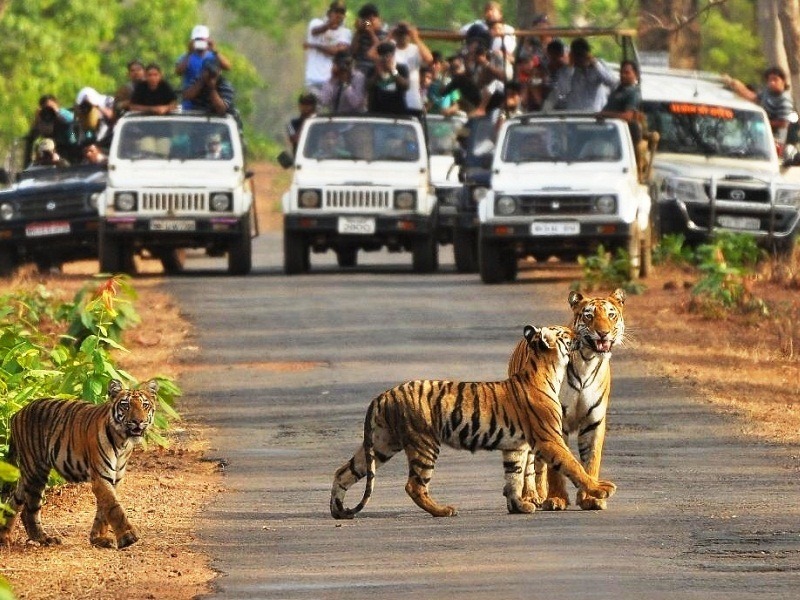 How to reach Tadoba National Park: Upon reaching here, travelers can hire a cab or take a bus to reach this destination. Best time to visit: Travelers can visit the park between the months of October and June. 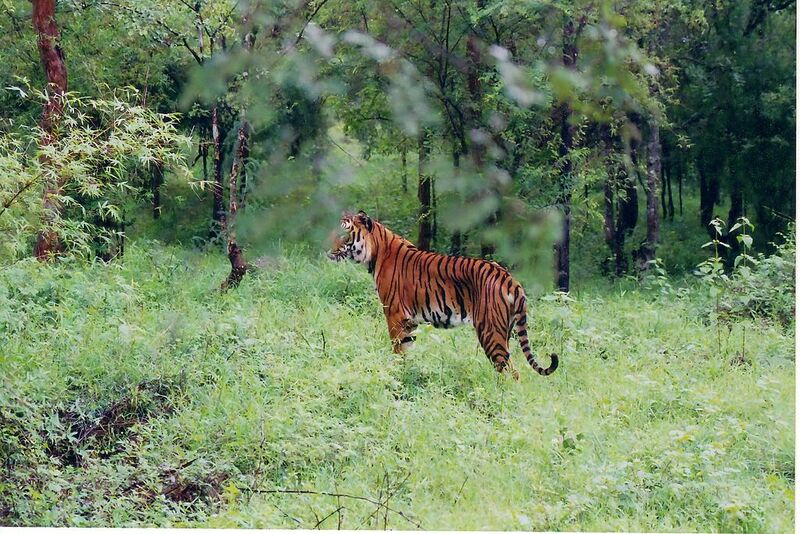 Covered by both dry and moist deciduous forests and also semi-evergreen forests, the Bhadra Wildlife Sanctuary is the right place for travelers to experience and admire the wilderness and the miracles of nature. Hosting an extensive habitat for plants and animals it is one of the most beloved attractions in Karnataka. It is a hub for the wildlife enthusiasts where adventurers can indulge in the wildlife safari. Also, there are a number of animals like bison, gaur, leopard, elephant, tiger, sambar, boar, chital, deer, porcupine and muntjac including a variety of bird species like an emerald dove, southern green imperial pigeon, great black woodpecker, Malabar parakeet, and hill myna. How to reach: You can take a KSRTC bus or a taxi to reach the Bhadra Wildlife Sanctuary. The nearest railway station is at Kadur, 40 km away from the Bhadra Wildlife Sanctuary. Best Time to visit: October to March is the best time to visit Bhadra Wildlife Sanctuary.